The 15th of December marked the final stop on the year-long Lionesses of Africa tour around the African continent, showcasing the best and most inspirational women entrepreneurs to the rest of the world. Accra was the final city of the tour, and what an occasion it was. Our hosts were the Federal Ministry for Economic Affairs and Energy in Germany, together with a high level business delegation of leading ceos and decision-makers from some of the most influential companies and organisations in that country. 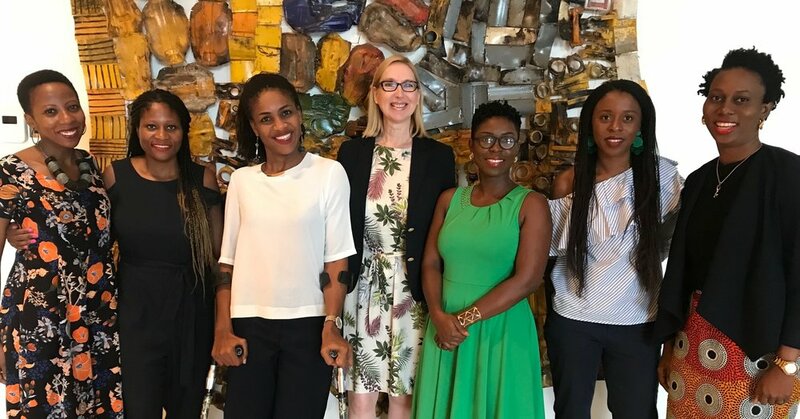 On a beautiful, hot and sunny morning in Accra, Lionesses of Africa excitedly headed to the prestigious Kempinsky Gold Coast Hotel in the city to join a delegation of 18 leading business executives and ceos of Germany’s leading companies. Our host for the morning was a real key champion of Africa’s women entrepreneurs, Hon Brigitte Zypries, Germany’s Minister of Economic Affairs and Energy. The aim of the morning’s event was to showcase some of the most inspirational women entrepreneurs from Accra to the delegation, and to open up possible future business relationships and opportunities. The six women entrepreneurs from Accra presenting their businesses as part of the event were: Ethel Cofie, founder and ceo, Edel Technology; Farida Bedwei, co-founder and cto, Logiciel; Kimberley and Priscilla Addison, cofounders, 57 Chocolate; Akosua Afriyie-Kumi, founder and ceo, AAKS; Audrey Forson, managing director, Tekura; and Emi Beth Aku Quantson, founder, Kawa Moka. Minister Zypries officially started the morning’s programme with a welcome to the Lionesses of Africa delegation, and an introduction to the Ministry’s interest in supporting the growth and development of Africa’s women entrepreneurs. The event follows on from the recently held Africa Startup Night event held in Berlin, which was hosted in partnership with Lionesses of Africa, and which showcased 5 leading young digital entrepreneurs from Africa. Lionesses of Africa founder and ceo, Melanie Hawken, then gave an introduction to the work of the organisation and its vision to empower 1 million women entrepreneurs in Africa by the end of 2018. She took the opportunity to launch Lionesses of Africa’s exciting new comprehensive women’s entrepreneur development programme, the ‘Kukua Programme’, meaning ‘To Grow’ in Swahili. She explained to the delegations that the 12 month long Kukua Programme will be truly unique in that it is developed for women by women; is specific to the needs of women entrepreneurs; is entirely community driven; is provided to women entrepreneurs for free; and importantly is a radical departure from existing initiatives (where they exist) that are clearly under delivering in Africa. Melanie also announced that the first company to come on board as an impact partner for the Kukua Programme is leading German company, Siemens. Ethel is a multi-award winning entrepreneur with her own leading industry technology business, Edel Technology, and named as one of the top 5 IT influencers in Africa, and founder of Women in Tech Africa, the continent's largest tech grouping of women IT industry game-changers. Farida is a tech-amazon and one of the top software engineers and entrepreneurs in Africa. 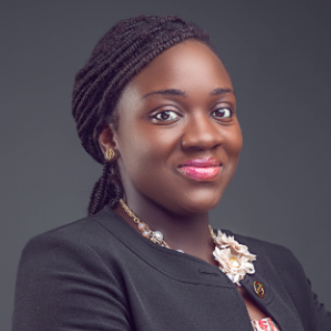 She is currently working with the Ghanaian government to rebrand the micro-finance industry, developing gKudi Software app to revolutionise the micro-finance industry in Ghana. 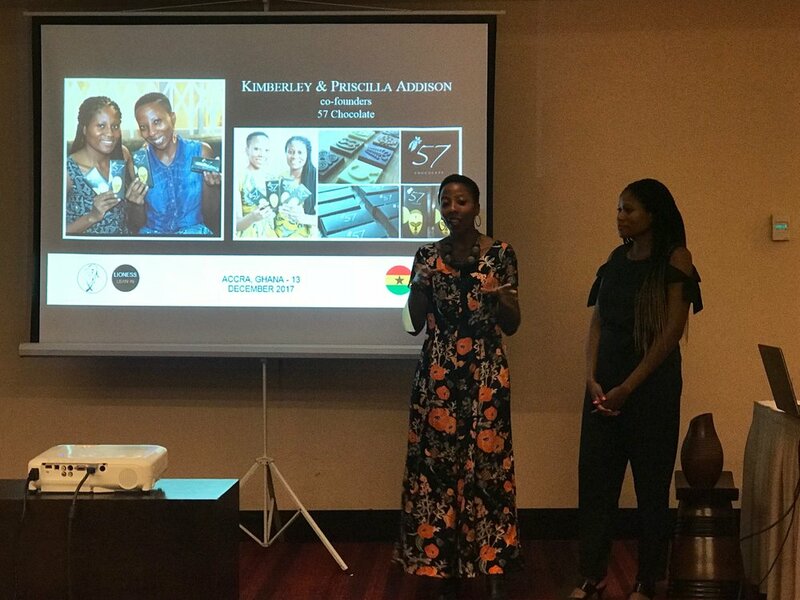 Kimberley and Priscilla are pioneers of Ghana's home grown chocolate manufacturing industry, creating a global world class luxury chocolate brand that drives a cocoa bean to bar philosophy, and extending Ghana's manufacturing value chain. 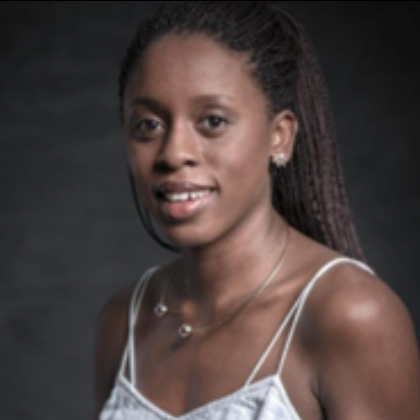 Akosua is an multi-awardwinning design entrepreneur, recognised by Vogue magazine as one of the most exciting global luxury accessory brands to watch. She is elevating traditional Ghanaian weaving techniques and creating world class luxury award-winning accessories that are retailing around the world, and also upskilling hundreds of local women to become micro-entrepreneurs in their own communities through her business. Her AAKS accessory brand retails in over 35 global cities through high end retail stores worldwide. Audrey is a pioneering furniture manufacturing entrepreneur in Ghana, taking traditional designs and creating handcrafted, high quality furniture and interior design pieces for regional and export markets. Working with remarkable designers such a Cheik Diallo from Mali, she plans to revolutionise furniture and interior decor design in Ghana. Tekura has a workshop employing 25 talented artisans, a showroom, a retail outlet and a distribution network. Emi-Beth is one of a new generation of young coffee entrepreneurs in Ghana. Her Kawa Moka brand of social enterprise coffee, coffee shops and creative spaces was founded on a rebellious idea - to create a string of sustainable socially conscious coffee shops across Africa. Her work gives smallholder farmers in Ghana access to a global market and empowers impoverished abused women, high school leavers and women in the legal aid system through training and employment. She is a Tony Elumelu Entrepreneur and a World Economic Forum Global Shaper.